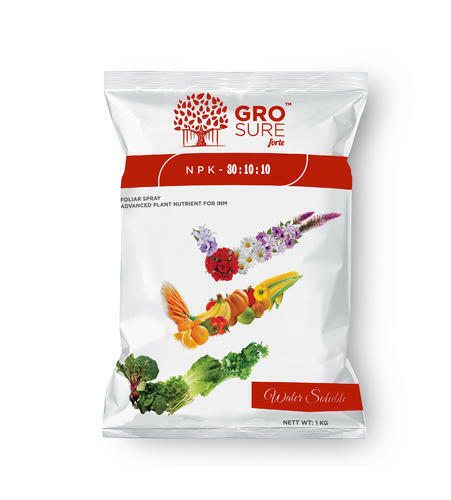 Our range of products include grosure forte npk 5:15:45 fertilizers, npk 6:12:36 fertilizers, npk 13:40:13 fertilizers, npk 16:8:24 fertilizers, npk 19:19:19 fertilizers and npk 20:20:20 fertilizers. We are the leading supplier of potassium nitrate in india.we have NPK 6:12:36 1kg,25kg packs are available. Required for germination of seeds and root formation. Starch conversion to sugars and soluble forms. Important role in stress tolerance and disease tolerance.